Work in Progress – Page 2 – My ramblings about life and my journey through it. How Can Southern Baptist Military Chaplains Continue to Serve ‘God and Country’? I’m so tired of hearing about anti-gay “conscience protections”. There was a time that the military provided safe-haven for racists who based their bigotry on deeply held personal and religious beliefs. Then President Truman issued an executive order that abolished racial discrimination and they were no longer allowed to be openly racist. There was a time when misogyny pervaded the military, and although we still do not have full gender equality, at least it isn’t acceptable to be openly sexist. Yet despite the broad public and Congressional support of repealing DADT, a Supreme Court decision repealing DOMA, and policies from the Department of Defense and individual service chiefs implementing open and equal service for gay and lesbian service members, it is still somehow acceptable for people to publicly state their opinions to the contrary and escape any accountability–indeed be granted legal protection–for doing so. I joined the military, not a church. I therefore don’t care what some churches have to say about my sexuality or my marriage. I don’t care what anyone else thinks about my sexuality. I do care when they expect a government-sponsored platform or pulpit from which to evangelize or proselytize their bigotry. As a member of the U.S. Armed Forces, I expect to be treated with dignity, professionalism, and respect. That anyone should even consider granting chaplains (or anyone else) the right to insult me or my family openly and publicly, be it in a chapel or an office, is not acceptable. It’s offensive and totally contrary to our nation’s and military’s values. Author MatthewPosted on September 10, 2013 September 10, 2013 Categories Equality, Military, Politics, Religion2 Comments on How Can Southern Baptist Military Chaplains Continue to Serve ‘God and Country’? Author MatthewPosted on May 25, 2013 Categories DADT, DOMA, Equality, Military, Personal, RelationshipsTags DADT, DOMA, GLBT, LGBT, Marine, Seattle, wedding4 Comments on Today is the big day! If you haven’t found it already, be sure to check out our wedding blog at benandmatthew.com. You can watch the ceremony online at Livestream. Please also consider donating to our Okinawa Fund to help us move to Okinawa together as the military still doesn’t recognize Ben and my husband and dependent. Ben and I will be getting married in a few weeks and set up our Wedding Registry at MyRegistry.com. With our upcoming move to Okinawa, we don’t have much need for many things. 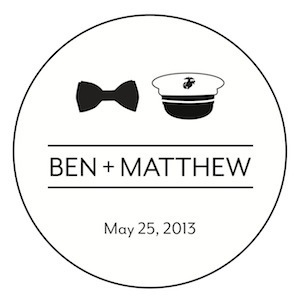 We are, however, concerned about the cost of Ben moving to Okinawa with me, since the Defense of Marriage Act (DOMA) prohibits the military from recognizing Ben as my spouse. That means Ben’s airfare, moving expenses, lodging, and medical will be on us. The expense will run into the thousands of dollars. If you’d care to contribute to help us meet these costs until DOMA is repealed, please visit our registry and consider donating to our Okinawa Fund. We will donate anything beyond the actual costs to continuing the fight for LGBT equality. When I’m transferred to Okinawa this summer, Ben will come along, but at our expense because the Defense of Marriage Act prohibits him from being listed officially as my spouse or dependent. We filmed this video a couple months ago for Freedom to Marry to talk about how DOMA affects us. Why DOMA needs to go… Now. 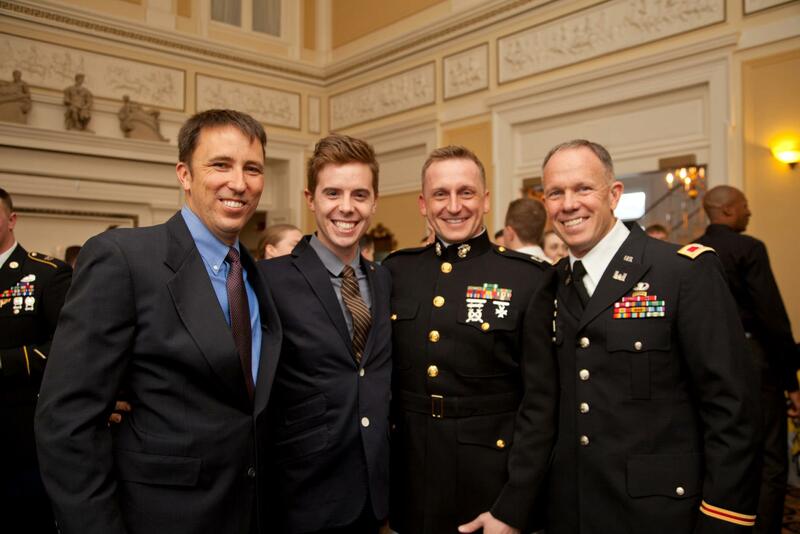 Author MatthewPosted on March 26, 2013 April 21, 2013 Categories DADT, Equality, Military, Personal, Politics, Relationships2 Comments on Why DOMA needs to go… Now. Work in Progress Blog at WordPress.com.